The dunking tank has been delighting crowds for years. 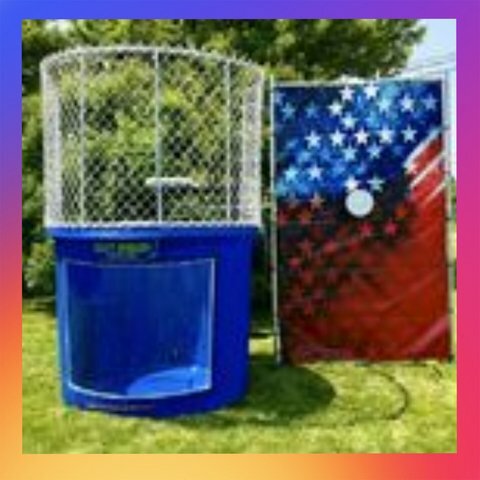 The concept of dunking the boss at the company picnic, or dunking the local "celebrity" at fundraiser events, dunking the teacher, the preacher, birthday boy, mom or dad, is an activity that has become an American pastime. Available in Pink or Blue.